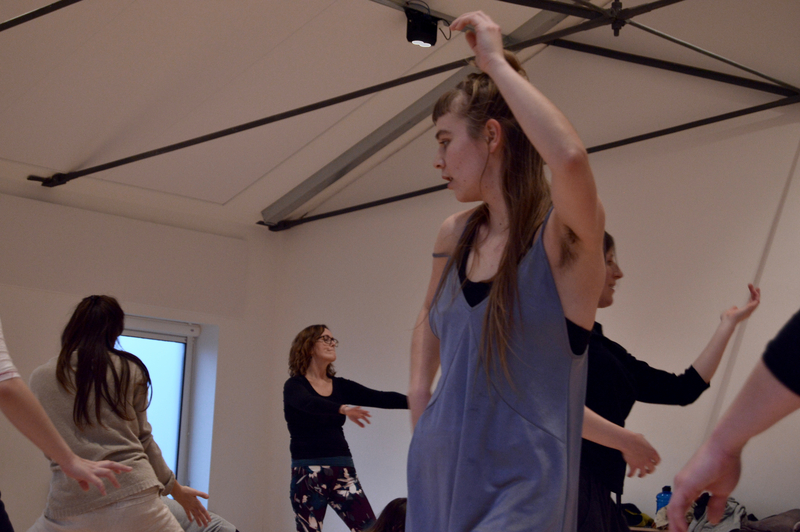 Feet Off the Ground dance workshop with Faltonia, at Dance4, December 2018 – East Midlands Theatre. I was recently privileged to be part of a unique project run by dance company Feet Off the Ground, which involved a group of local Nottinghamshire women. Along with dancer and film-maker Eleanor Sikorski, the group have produced this short video charting the process and some of the outcomes of the collaboration. The Way They Were Then – Creative workshops with ‘Faltonia’ from Feet off the Ground Dance on Vimeo. Feet Off the Ground is an all-female dance collective which uses contact improvisation and partnering techniques to develop original pieces: they are Lucia Chocarro, Robyn Holder, Sophie Thorpe and Patricia Zafra. 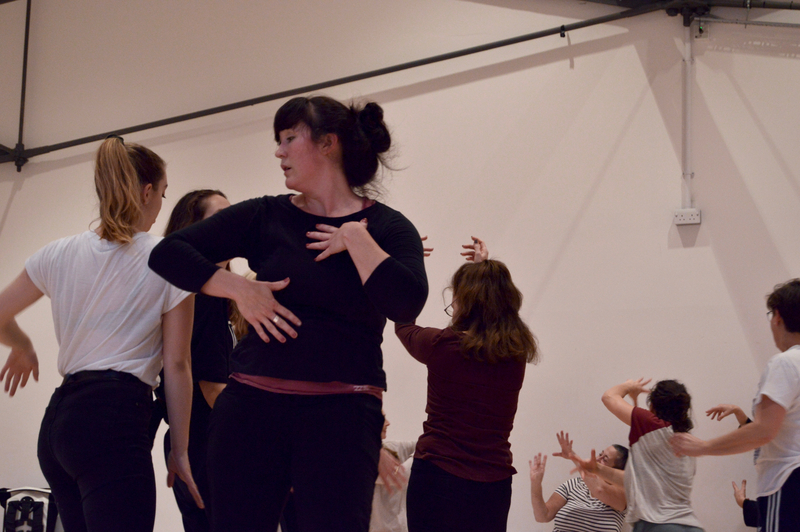 Since graduating from the London Contemporary Dance School, the women have worked together for over 5 years. 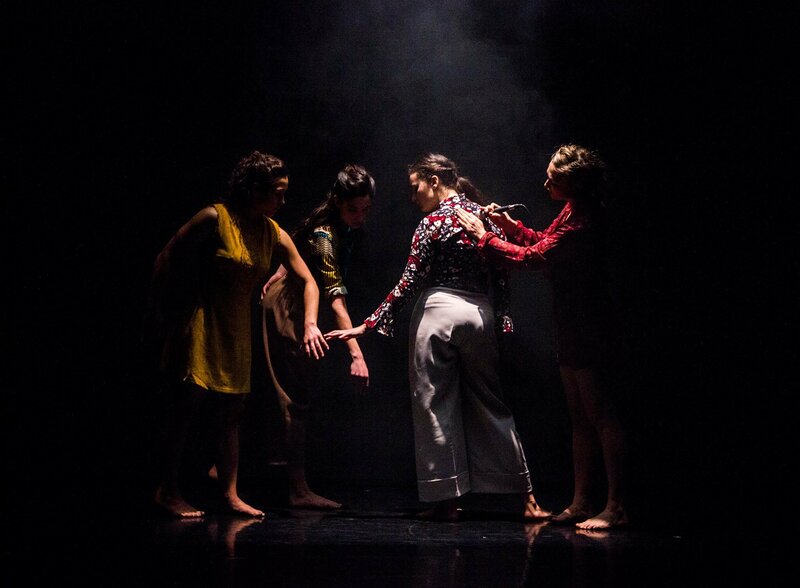 In 2017, they produced a performance called The Way They Were Then, inspired by a collection of short stories about women by Eduardo Galeano, a Uruguayan writer, called Mujeres. Feeling that there was much more to explore, they decided to engage with a wider group of women to help inform its development. The original work was based on specific stories about historical women, both renowned and unknown. Taking inspiration from some of the stories, the piece deals with themes of female empowerment, oppression, rebellion and unity. One story focuses on Camille Claudel, the French sculptor, who is now recognised as a highly influential and talented artist. In the late 1800s, producing work with a sexual element and, being a woman artist, were both held against her in gaining artistic and financial support. Claudel’s work was overshadowed by that of Rodin, who she had a relationship with, both personal and professional. Another story relates to prisoners being banned from even seeing any symbols of freedom, such as a flying bird, in order to keep them mentally and physically incapacitated. These stories, amongst others, provided the springboard for the exploration of themes for the project. 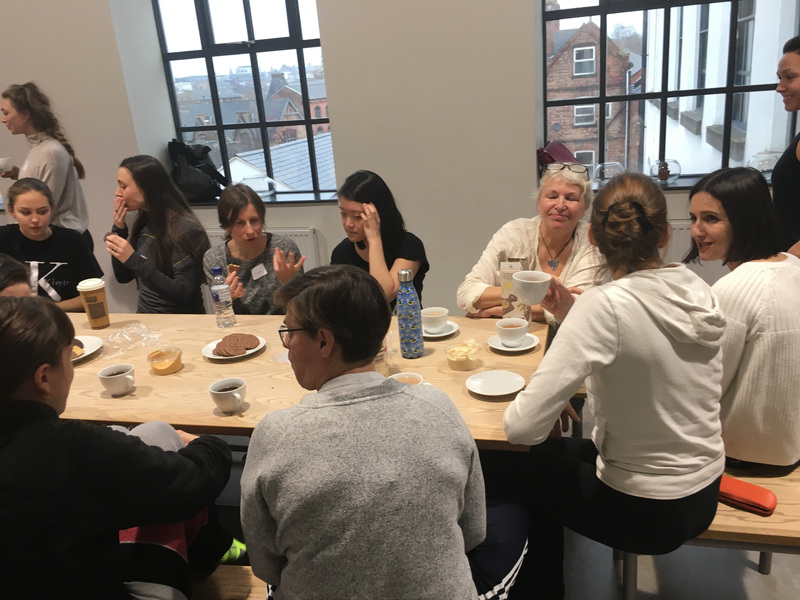 The collaboration with the women was carried out through a series of weekly workshops, held at the Dance4 studios in Nottingham. At first, there was inevitably some trepidation as to what might be involved or expected, particularly from the ‘non-dancers’ in the room! The team made everyone feel very much at home, safe to express themselves without judgement, and provided a warm and welcoming atmosphere. The workshop began by discussing the story of Camille Claudel, looking at images of her art and reflecting on her status in society. The women then contributed their thoughts as to when they had also felt excluded or overlooked personally. The local women were a diverse group in terms of age, background and experience, many of them originating from countries outside the UK. This provided a wide and disparate set of experiences for discussion. To further expand these ideas, the Feet Off the Ground team led the women in a physical exploration of the space and the room. With quiet words of encouragement and suggestion, each individual was able to discover their own ways of moving and reveal how certain themes, positions and ideas affected them. To the accompaniment of some escalating, rhythmic music, the women were free to express themselves and by the end of the session, many were breathless and elated with the liberty and release the dance had offered. The following weeks’ workshops had a similar format, initially exploring ideas through different media. This included watching some footage of Josephine Baker, an early African American vaudeville dancer, and we considered ideas of how society requires conformity from women. Feet Off the Ground shared how their work had developed during the week, based on feedback from the previous workshops. 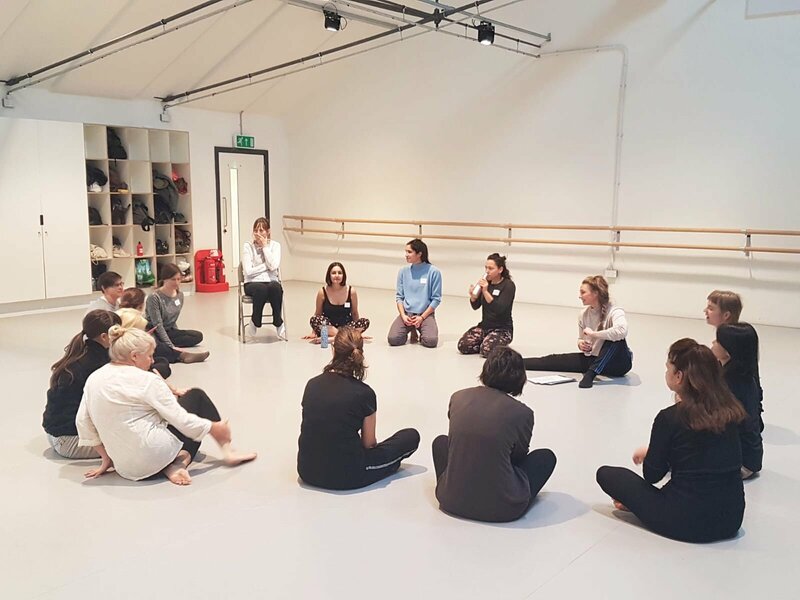 A session of ‘call and response’ type movement resulted in some exciting sounds and postures, and through pair work, there was a deepening of understanding of how one could support the other to express themselves. The project was set up to provide Feet Off the Ground with input from a wider group of women to their work The Way They Were Then. There was certainly a willingness within the group to be open, to share experience and to take risks. The safe environment created by Feet Off the Ground meant this was not only achieved but, the women involved clearly gained a huge amount from the experience too. They will now proceed to the next stage of the process, which is the further development of the piece itself. Speaking personally, I found the experience very liberating. With guidance, I was able to use my body to communicate feelings and mood, as if I had unlocked the child within that gets closed down by society’s expectations and norms. Sharing experiences with a wider group of women was enlightening and invigorating. It was particularly special taking part in the workshop with two of my fellow ‘Pit Wives’, Lisa Chamberlain and Wendy Gerrard-Tarpey, whom I met when we performed in Gary Clarke’s COAL in 2017. Overall, it was an uplifting, joyful and humbling experience to work alongside such talented, sensitive and kind women as Lucia, Robyn, Sophie and Patricia, and the rest of the women.